We tried to find the tiles by the same manufacturer but they had been discontinued by Home Depot. 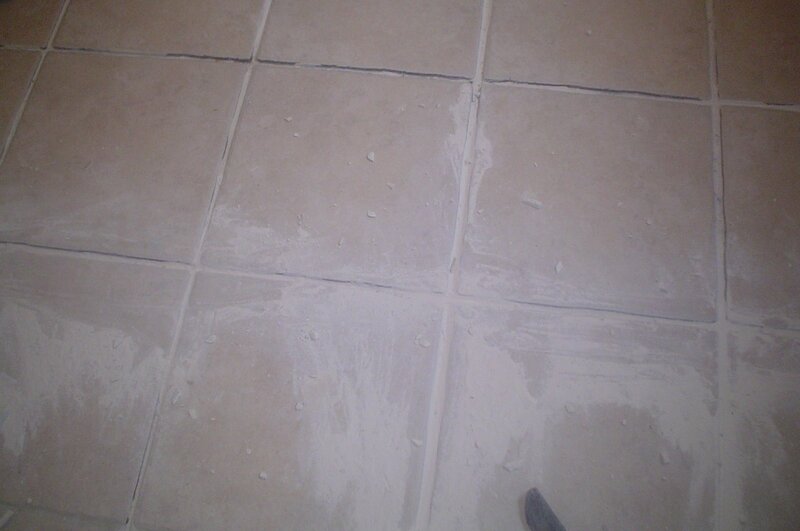 However, we found tiles by the same manufacturer, in the same color, with a slight variation in the perimeter design (ours was rugged and the new one was smooth). 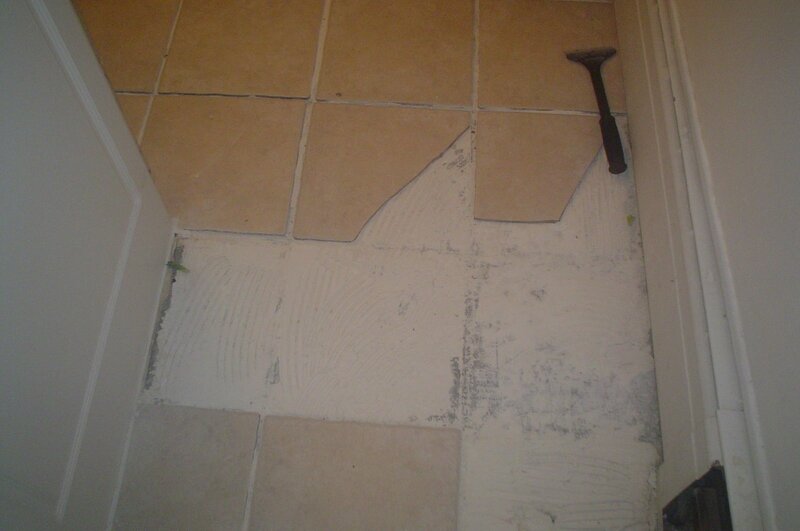 Hopefully, some time this week we can remove the old adhesive, lay the new tiles and finish re-grouting the floor. I need my kitchen back! This has resulted in all my other projects being put on hold. I haven’t worked on the backyard, I haven’t started spring cleaning, and I haven’t finished lining the kitchen shelves. On top of all this Kiran’s birthday party is in three weeks. Thankfully the invitations are done (and they’ve been mailed).